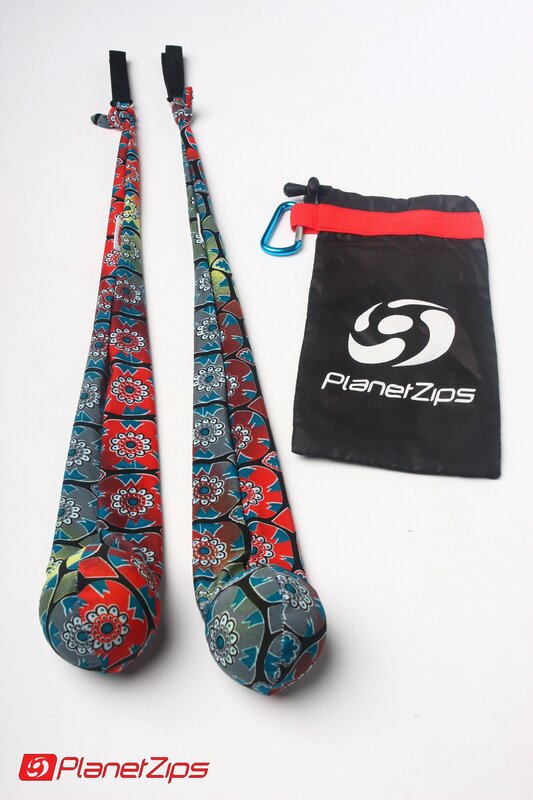 Planet Zips : Poi Philippines | The pioneer Poi company of the Philippines. 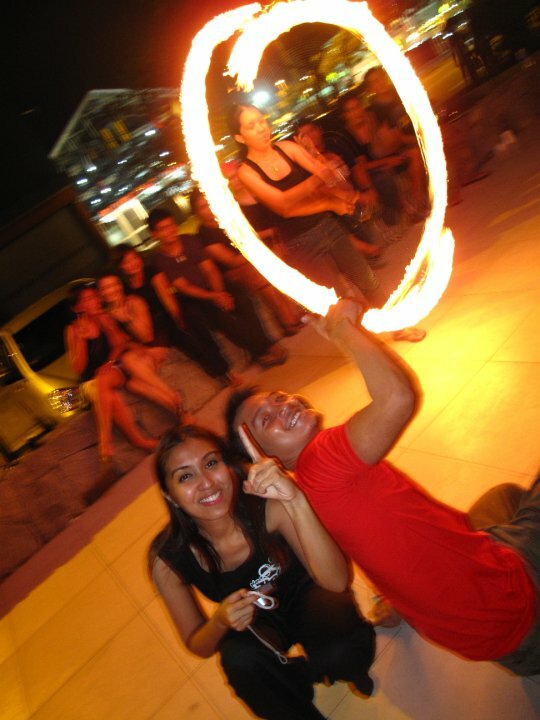 The pioneer Poi company of the Philippines. 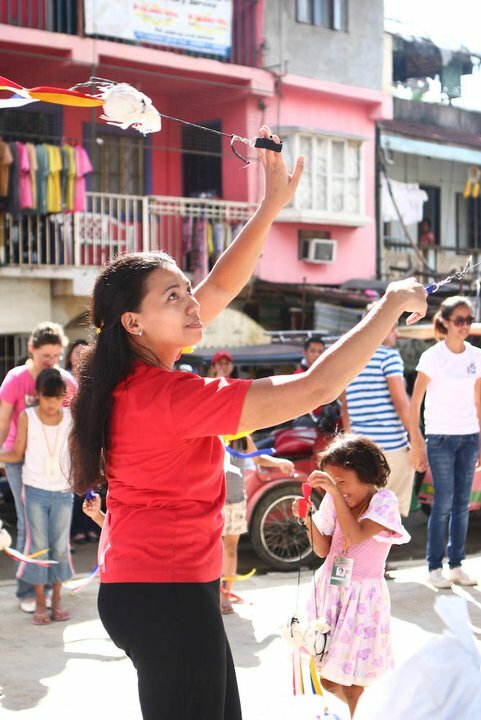 At the start of the year, Det Esguerra-Ibuyan joined PZ and fell in love with spinning poi. 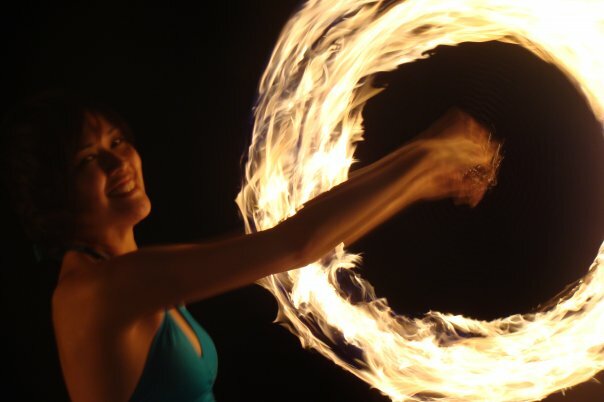 Now, she shares with us her FIRST BURN experience, and how addicted she is to spinning fire! There can only be 3 letters which best describe my first burn W-O-W ! There were mixed feelings of excitement, fear and joy all at the same time . Burning for the first time brought back butterflies in my stomach, something I haven’t felt for a very long time ! It’s like riding your first roller coaster ride… a totally out of this world experience. These mixed emotions were brought by the excitement of trying out something new and the fear of playing with fire. Finally, when my turn came to dip, shake and spin, the feeling was indescribable . The whole world disappeared and suddenly it was just me and my cathedrals. The heat of the flames surrounding me… the swoosh of each stroke… It was like I was warped into a place where I can’t even explain ! It was just amazing ! I just cant wait to finish my lesson and finally graduate ! Thank you PZ for sharing the wonderful world of Poi ! 8pm, August 20 at Arts in the City, Bonifacio Global City. PZ Poi Academy Instructor & PZ Luminaries performer LALA JARA was featured in the Philippine STAR newspaper last July 28 for a SMART C+ drink advertorial! Let’s keep spreading the passion for poi! How/When/Why did you start spinning poi? Actually back in August 2007, my friend Oli Khosiking was already asking me to join him attend poi classes but since it conflicts with my Hip Hop class, I never got to try it until after I saw sensei Ramir Recinto did a POI demo at Fitness First. I thought to myself, “Wow, I want to spin like that too!” and I remember telling Oli I will only attend poi classes if Ramir is my instructor. My first class was at Bel-Air Makati in January 16, 2008. 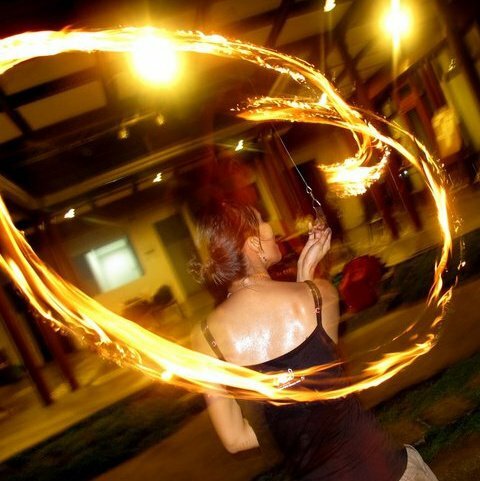 Since then, I haven’t stopped learning and loving the art and the passion of spinning poi. Favorite Moves: My ultimate favorite move is the Straight Jacket-leg bounce-Butterfly Crossers combo. But each performance I would always include Buzz Saw because it never fails to make crowd go wild. For them, there is this element of danger by doing a Buzz Saw and that reaction makes me high thus making thus one of my favorite moves. Recently I just learned spiral wraps and it’s growing on me too. Favorite place to spin poi and why: Nothing beats spinning at the beach. There is a certain something about spinning at the beach that I can’t put my finger on. Maybe it is because everything is just so laid back, time is slow and it’s like you’re in another world, away from your corporate self. How will Poi save the planet? 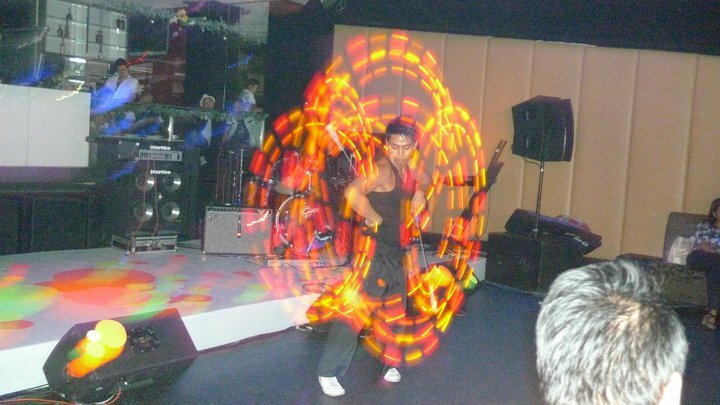 When you are doing something you love to do like spinning poi, that love shines through each performance to everyone in the room. I guess Poi will help save the planet by spreading that love and when love is overflowing, what could go wrong? Attention: Fire Spinning! Keep SAEF! How/When/Why did you start spinning poi? I saw one of the events of Planet Zips at the Rockwell power plant mall and since then I got interested in learning this form of art. At that time, I couldn’t recall the name of the group so I started to teach myself. I started spinning poi around April of 2008 by watching poi tutorial videos. 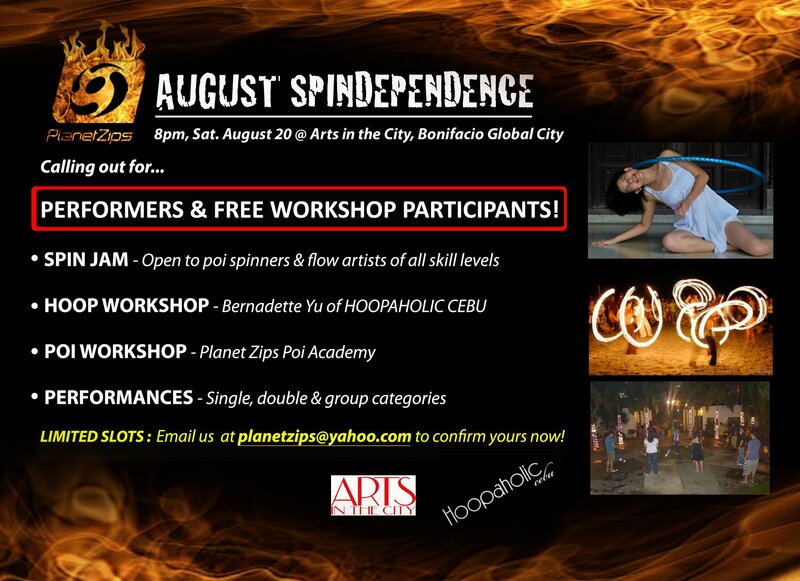 After a year, Planet Zips started having classes in Quezon City, which I joined by January of 2009. I’ve always been fascinated by fire, but I also have a phobia of it. After spinning fire poi, I’ve overcome my fear. Reasons why you love poi: It relaxes me in a way. It motivates me in a lot of ways. It entertains people who see me spinning poi. It broadens my social network. It makes strangers become acquainted more. Last but not the least, it enhanced my confidence. Most memorable poi experience: meeting and knowing the PLANET ZIPS TEAM, and the PLANET ZIPS students. “How will Poi save the planet? Make your own poi by recycling… Instead of using electricity based exercise machines, spin your poi instead! What do Zebras and Aztecs have in common? And they both come w/ a FREE carry pouch and carabiner hook for easy and safe transport. Mic Callo’s poi spinning techniques are not just superb; she has the patience and dedication to teach them. Learn more about her PZ story in this short feature, and join her QC classes to learn more about poi! 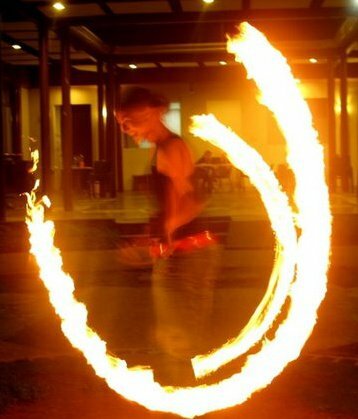 PZ Fire Spinning Name and why? : After a lot of choices, I came to baptize myself as LADY FIAMMATA, meaning “Lady of the Blaze” and because I wanted to sound “girly” despite my “astig” and fast moves. How/When/Why did you start spinning poi? I saw a feature of PZ on TV during a boring summer evening of April 2006. (QTV11 was just new that time). It was an interview with Cat Juan and Paulino Servado. I really got interested and was simply amazed how just a simple strip of cloth can do wonders in the air. The next day, I checked out the website and BAM! I saw how it was a perfect fitness solution for me since I don’t get much motivation in the gym. After a few weeks, I visited the Thursday class in Bel-Air, Makati, tried it out then got my first black eye after doing the upward carry turn and there…Lady Fiammata was born. I love doing Anti-spins, CAPs and Butterfly variations. My favorite places to spin are beaches and parks and anywhere that has space. 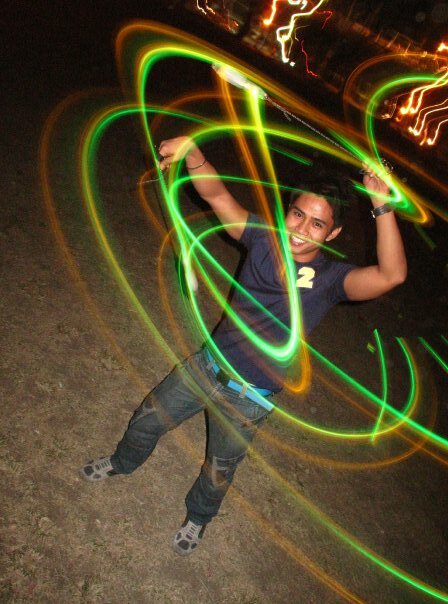 Every bit of poi spinning is memorable for me, whether it’s with the PZ Team, QC Poi Academy, with my friends or simply by myself. 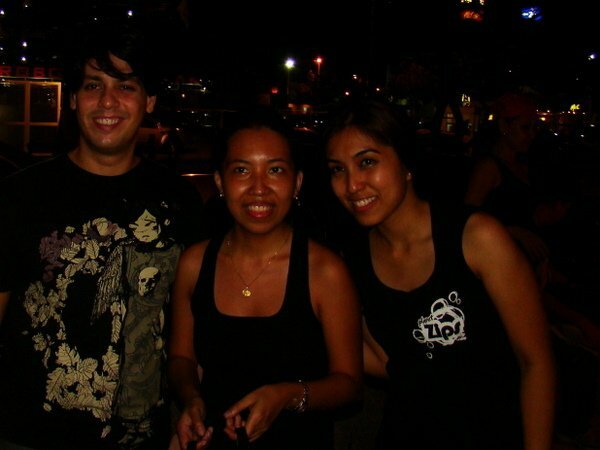 But my most memorable one when I was sent to Cebu (with Migui & Tsok) to spin for a full moon party in Edsa Shangrila, Mactan. How will Poi save the planet? We now live in a world turning and moving in a fast pace without us noticing the beauty around us. 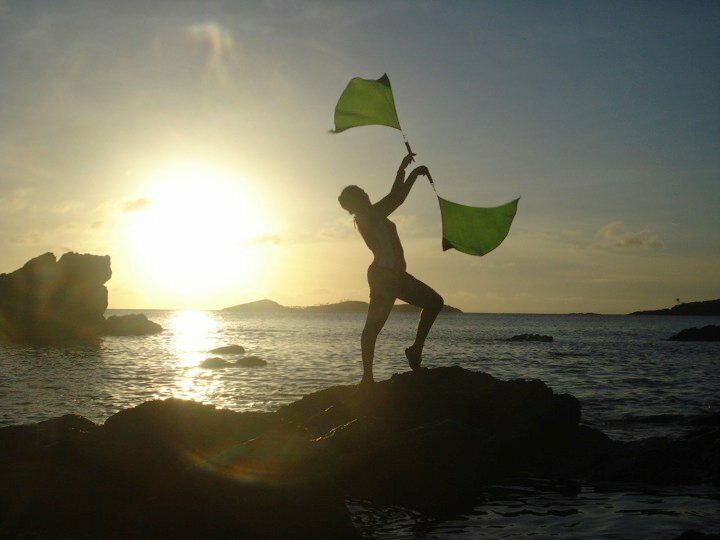 Poi makes us aware of our surroundings, and it also makes us APPRECIATE how things flow magnificently through the earth and water as we play with the wind and fire. Watch this Fire Lily Bloom! Fire Name and why? 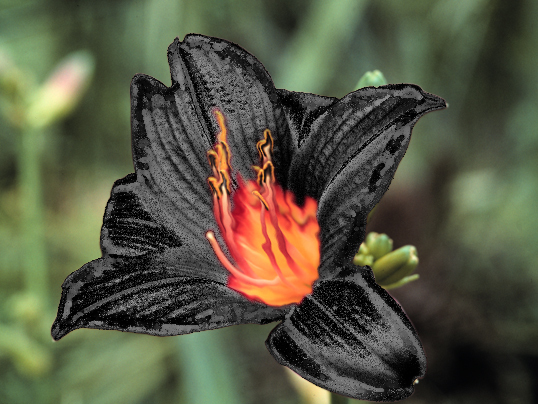 Fire Lily because Riza personifies this exquisite flower, which is a symbol of fiery passion. (Big ups to friend, Rex Golez, for suggesting the fire name). Favorite Moves: Behind the back weave, straightjacket, endless christwrap and 5-beat corkscrew. Aside from the fact that the smell of burning kerosene intoxicates me, fire spinning takes me to a special place that is completely my own. In that moment I’m lost, centered and engulfed in the warmth of burning desire to move freely with grace and fervour. 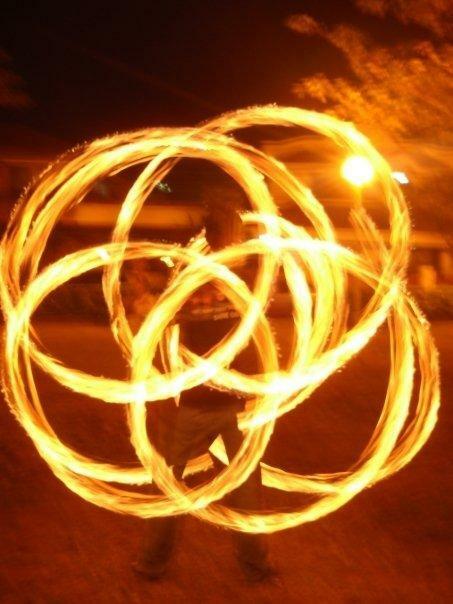 Fire spinning to the beat of Brigada – intense, trancelike, in ecstasy. How will Poi save the planet? As a graduate of PZ Academy, TJ Cruz finished the whole course not just with flying colors but with fiery ones. 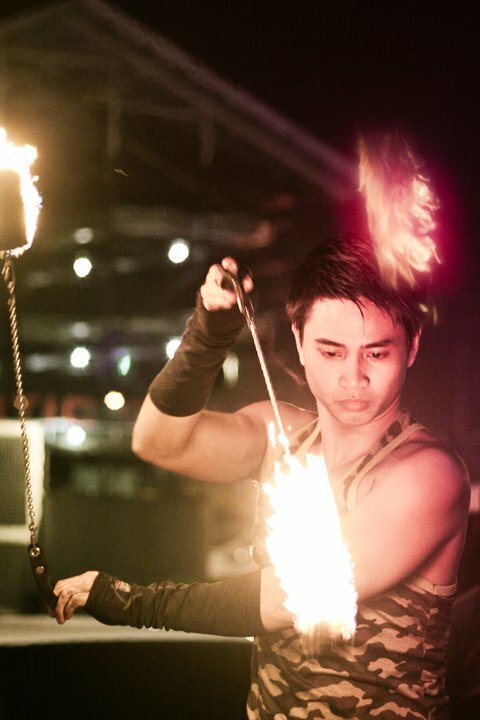 People are awed with his dance moves while spinning fire, and they always ask for an encore. 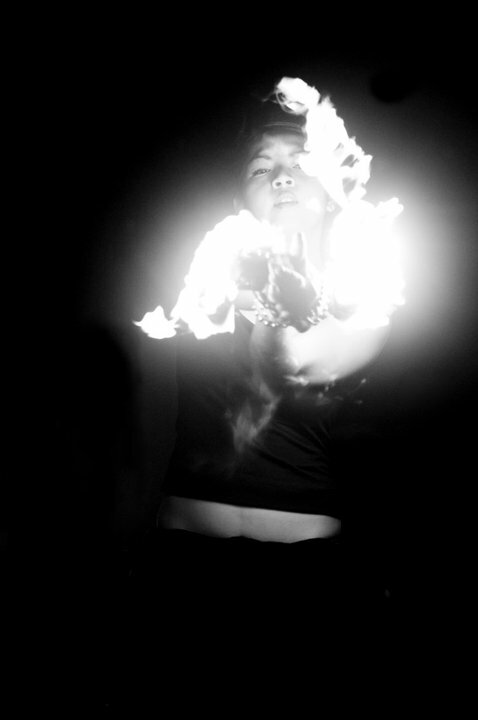 Learn more about TJ, and find out his most candid thoughts as a poi enthusiast and performer! 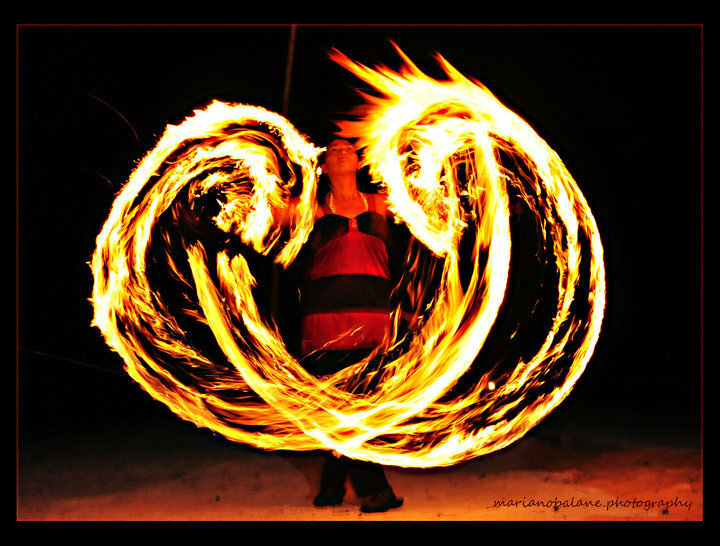 PZ Fire Spinning Name and why: Phoenix. I like the mythical fire creature that’s immortal and just keeps getting reborn. I relate to it when I’m down with a situation and I just rise above it with a different perspective and think of myself as a better person. I suggested it and one of the instructors agreed. How/When/Why did you start spinning poi? – Really only knew it as “fire dancing” at first. Dance is my first love and I thought this could be a great addition to my repertoire, but I didn’t know who could teach or where I could learn it until I saw it on Facebook. 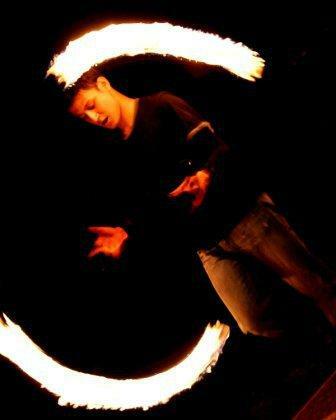 I saw a profile pic of my good friend from college spinning fire. I asked her and she gave me the details. It was the latter part of 2008 when I started attending classes in Makati. Been hooked ever since and would even attend Ortigas and Alabang classes to learn as much as I could. Performances you’ve done: Just two so far, for the Pyrolympics (China vs France) and the Ayala Alabang Country Club Anniversary. How will Poi save the planet? Well, a common point of interest usually gets people together to agree on one thing or discuss their views about it. 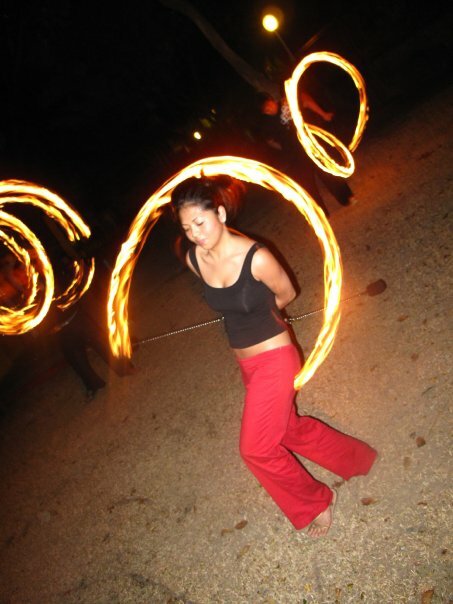 Poi is an art form that can be used to arouse interest, get attention, and provide entertainment at the same time in which people can be united in. Whether they use it for an advocacy or just breaking borders in getting to know people in general. One Flow. A First Burn Long Overdue! 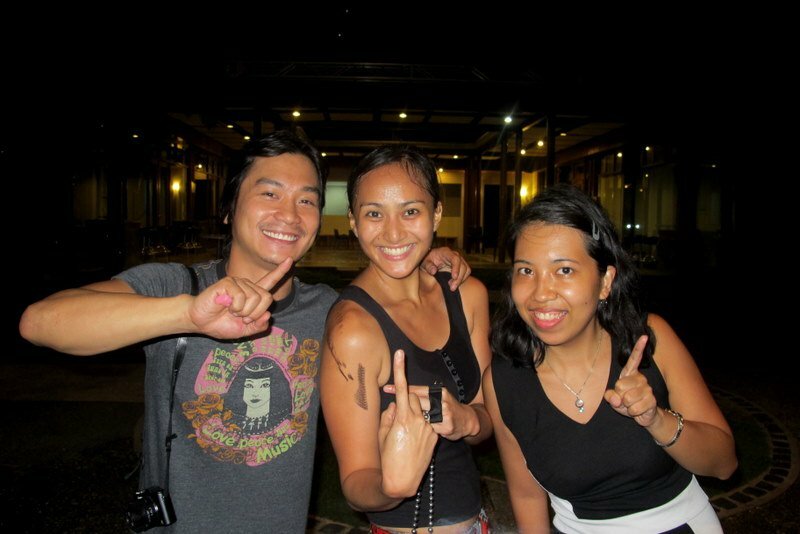 PZ Graduate Mel Limlengco shares about her first burn a little more than a year ago. Burn, Mel, burn!! I had finished all the beginners’ lessons already, was about halfway into intermediate, and I still haven’t had my first burn. My new cathedrals were still waiting to be lit. Not that I didn’t want to; I was actually pretty excited. Finally, I was ready to spin fire! The opportunity just never came as easily as I wanted to. Classes in Bel-Air stopped just when I had completed the beginners’ lessons. Salcedo Park where I also took classes, didn’t allow fire spinning and I was never able to bring myself to Pasig or Alabang where it was allowed. Eventually, I finally had the chance on the 1st of May 2010 at Café Mondial during the monthly spindependence, several months (!!!) after my first lesson. I was actually quite hesitant to burn at that time because it was a public event and a lot of people would be watching including other PZ peeps who were more experienced than me. Early on, my instructors, Dors and Lala, have been asking me to burn already but I managed to dodge off and reply with ‘later’ until it was already past midnight. Soon, Paulino noticed I hadn’t burned yet and asked me to already dip my cathedrals so I could burn within the next several minutes or so. Funny thing, I didn’t refuse. Maybe because it was already late (or nabully?! Hahahaha!). Dipping my cathedrals, I became nervous as it started sinking in that I was dealing with fire. There was no more chance to back out though as he had already announced that I will be having my first burn to which the crowd cheered. Waah, the pressure! I then took my cathedrals, whisked them and before they were lit, he gave me a pat on the shoulder, reassuring me that I’ll do fine. And I did! It wasn’t as hard and scary as I thought it would be. I wanted to do as much of the moves that I learned but failed to actually do so I was concentrating more on not getting myself burned. Haha. It was probably one of the longest 4-5 minutes of the life but it was also over before I knew it. It was thrilling and gave me that certain kind of high (although I think it was partly because of the kerosene!). I enjoyed it so much I had a second go right after and a third later on and a fourth until I lost track of count (It can be quite addicting ;)). Indeed, it was quite a long wait. Most students probably have their first burns within 3 months of learning whiIe I had mine after 8 months! Looking back though, I wouldn’t have wanted it any other way. Subscribe to keep updated with our content!